The Marathon du Medoc – 26 miles of madness, fancy dress and wine tasting… all in the name of charity! 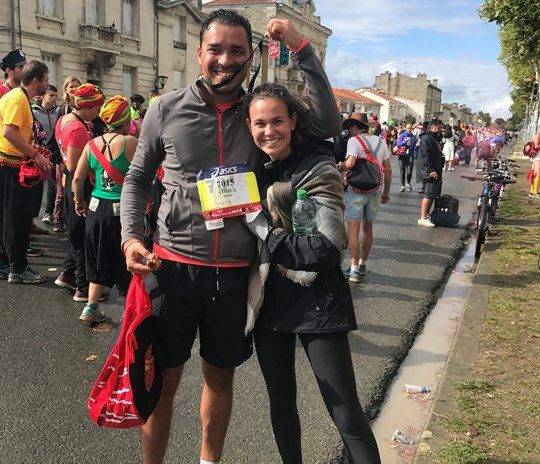 Unlike most marathons, Medoc offers runners a different type of refreshment to keep them going – 23 wine stops and ‘snacks’ including oysters, cheese and steak. Jogging alongside the vineyards of Bordeaux in fancy dress theme, it’s certainly a sight to behold! Big thank you to Athila and Marina and who took on this years’ challenge in support of Savitri – you are superstars! Together they’ve trained and raised an incredible amount for Savitri – 100% of which will go directly to our project work.